iPhone provides an exciting portable gaming experience because of its powerful ARM processor and accelerometer. There are plenty of motion-based games, RPGs and action games that have been released for the iOS platform. For the adventure gaming crowd, there are some very good iPhone adventure games that boast the classic point-and-click mechanics, a riveting plot and good graphics. 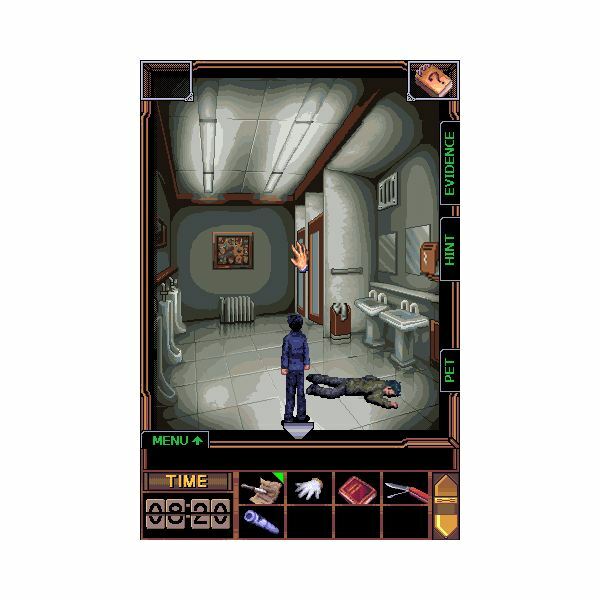 Gallery Homicide is a typical point-and-click adventure game with inventory-based puzzles, clues and lots of interrogation. With a murder mystery theme, the game puts you into the shoes of Matt Redmond who is tasked to solve the reason behind the twin-murders at a pre-exhibition party. The game allows players to explore secret rooms, hidden paths and gather clues to uncover the mystery. Multiple scenarios will provide more opportunities to search for clues, solve puzzles and come closer to solving the mystery. A feature that sets Gallery Homicide apart from other point-and-click adventure games is the time limit. Yes, you will have to solve the mystery before the timer goes off. This means, you will have to gather clues, interrogate suspects and solve puzzles within the allotted time. This adds more intensity and excitement to the game. The game graphics are a slightly polished version of the 90s adventure games like Beneath the Steel Sky. The music and sound effects are okay, but there’s nothing spectacular to comment on. In all, Mystery: Gallery Homicide sets the tone for a perfect murder mystery adventure game, courtesy of the unique time limit system and some good puzzles. Once popular, adventure gamebooks lost their sheen in the late 90s, partly because of the advent of role playing text adventure games for the Commodore 64 and the popularity of pen-and-paper RPGs like Dungeons and Dragons. Gamebook Adventures (GA) and a couple of other digital gamebooks for the iPhone revive the long-dead genre. The first game of the GA series, An Assassin in Orlandes, does pretty well by adding a few extras to make textual adventuring more immersive and engaging. You will get the chance to roll a virtual dice, record your health, vitality and keep a note of your weapons, rations and other stuff on your digital character sheet. Like other gamebooks with multiple passages, An Assassin in Orlandes has several passages and multiple endings (around 70 endings). The digital gamebook looks exactly like any paperback edition, especially with its unique page-turning feature and portrait orientation. You can change the orientation to landscape mode to view maps and images. The rules and battle system in this digital gamebook are completely revamped, making this adventure game even more interesting. The dice-rolling is in 3D, which adds more excitement. All you have to do is shake the iPhone to roll the dice and wait for destiny to shape your adventure. Unlike paperback adventure gamebooks, this game boasts three difficulty levels. Overall, the first adventure game from GA is a must-have if you are an adventure gamebook fan. An adventure game without Sherlock Holmes and his deduction skills is like an action movie without car chases. 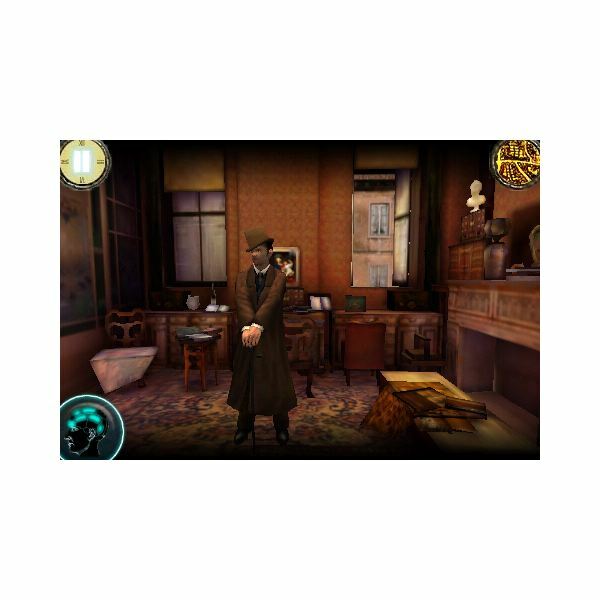 In Sherlock Holmes Mysteries, players will be able to step into the shoes of the world’s greatest detective and do what he is good at – interrogation, clue-hunting and puzzle-solving. The game’s art-style resembles 1890s London, and the excellent 3D environment brings back the vicious, yet charming Victorian atmosphere. In Sherlock Holmes Mysteries, players will have to solve two mysteries: The Case of the Innocent Man and The Missing Memento. The game has everything a mystery adventure title should have – exploration, gathering clues, solving puzzles, interviewing and much more. There are a few mini-games to spice up the gameplay including a mini-fight sequence with quick-time events, but the heart of this game is the age-old point-and-click adventure formula, and this is why I recommend this game for iPhone adventure games fans. It is an engaging plot that sets Escape the Room 2 apart from other room escape adventure games. Your character is in an unconscious state and is trapped in a room for no apparent reason. When he recovers consciousness, he sees a cute girl in the room. She explains that there’s an exploding device attached to his chest. You will have to help him escape the room before the timer runs out and the device explodes. There are a variety of clues to gather, mechanical puzzles to solve, safes to unlock and other hints that will aid in your search. You will also have the girl helping you at times, providing useful hints to get you out of the room. The unique Saw-like plot, together with some clever puzzles, makes this game satisfying. Another unique aspect of the game is the various additional objects that can be purchased while playing the game. Though not necessary, these in-app purchases help you get out of the room quickly. For example, you can buy “God’s Hand” to solve safe and mechanical puzzles quickly. Once you have used all three, you can buy more of this power-up. There are also several objects that can be purchased online, including safe keys, and additional minutes. 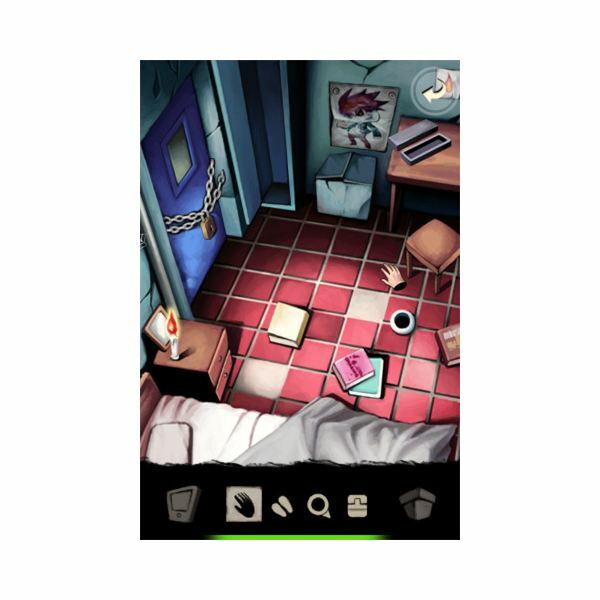 All these extras, plus a mystery plot, add more depth to this room escape game for the iPhone. The revamped version of the all-time classic Shadow of the Templars has several additional features that will make adventuring more fun on your iPhone. The original game had the protagonist George Stobbart exploring, interrogating and finding clues to solve a dark conspiracy revolving around the Knights Templar. The Director’s Cut version splits the tasks to both Nico and Stobbart, and adds additional content to make the game more engaging. In this game, you will see Nico sleuthing around, gathering hints and solving puzzles. Broken Sword: Director’s Cut for the iPhone makes good use of the device’s touch screen to give you a satisfying point-and-click experience. The puzzles are challenging, but not obnoxious and most of them, except a cipher-based puzzle and a few others, are inventory-based. The twist in the tale and some extra puzzles add more fun to the adventure gaming. The touch-interface is smooth and there’s also a good hint system that makes gameplay a tad easier than the original. However, there are times when you get stuck on a puzzle and the hint system helps you a lot to get out of the tricky situation. The classic hand-drawn visuals are kept intact, bringing back old memories about the original game. 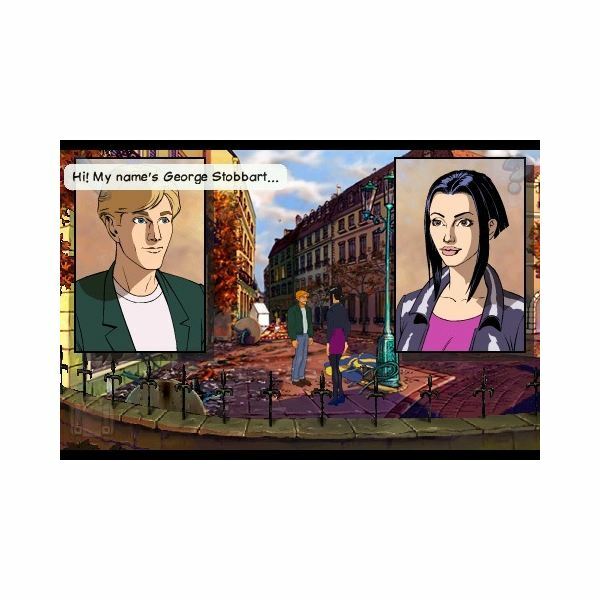 If you are looking for a good, solid adventure title, then you must add Broken Sword: Director’s Cut to your iPhone adventure games collection. All screenshots, courtesy of their respective developers.